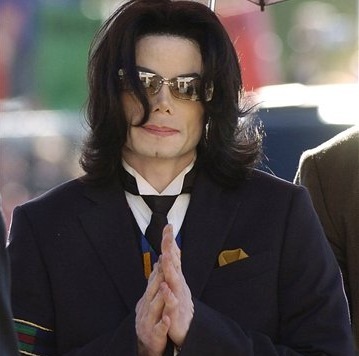 While the posthumous chart placings for Michael Jackson won’t be known in Australia until this weekend and in the United States until next week, over in the UK, his singles and albums have dominated this week’s charts. On the singles chart, his highest entry was at No.11 (‘Man In The Mirror’) and further down the list, there are no fewer than 28 Michael Jackson / Jacksons and Jackson 5 tracks occupying the UK top 100. Over on the albums chart, his ‘Number Ones’ album shot up 120 places to finish (ironically) at Number One. His classic album ‘Thriller’ – the best selling album of all time – notches up more sales, racing up from No.179 last week to No.7 this week. The ‘King Of Pop’ compilation is in at No.14, ‘Off The Wall’ is in at No.17 and ‘The Essential Michael Jackson’ debuts at No.20. That’s a quarter of the UK top 20 belonging to the superstar. Further down, ‘Thriller 25’ is in at No.45 and ‘Bad’ hits No.59. No doubt there’ll be more movement on worldwide charts as more stock arrives into stores – it’s expected that ‘Man In The Mirror’, benefitting from a full week of sales, will come in at No.1 on the UK charts next week. mazing, they are already saying that MJ has 9 albums in the billboard top 10!